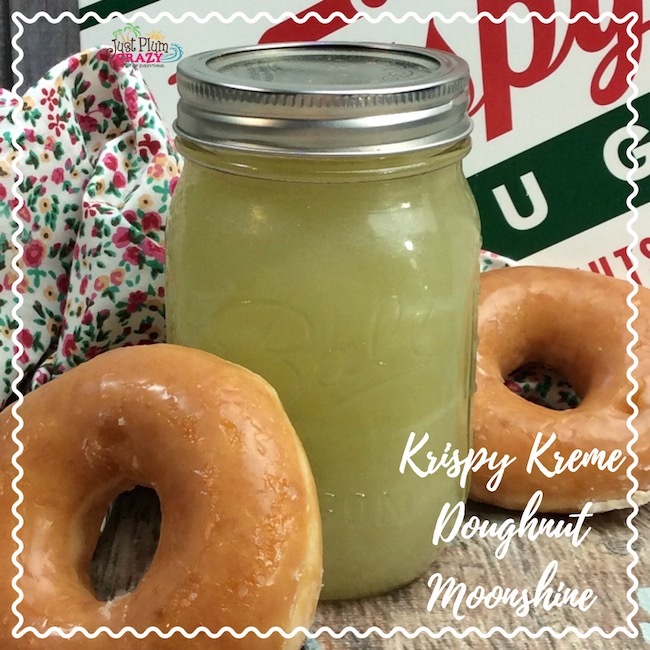 Moonshine Recipe: Krispy Kreme Donut Flavored | Be Plum Crazy! Moonshine recipes are a fun way to relax on those hot summer days. The term of “moonshine” is an old term that is slang for alcohol that was made illegally to over taxes or alcoholic bans. Usually moonshiners would head out in the middle of the night to hide their activities. Moonshine recipes are pretty easy to make and are often clear since they are un aged drinks unlike their Whiskey and Bourbon counterparts that are aged to get that amber look. This moonshine recipe is kind special because the flavors mimic those amazing Krispy Kreme glazed donuts.. If you have not had a Krispy Kreme donut – add it to your must have list! They are amazing! So if you love that flavor – this is the perfect moonshine recipe for you. 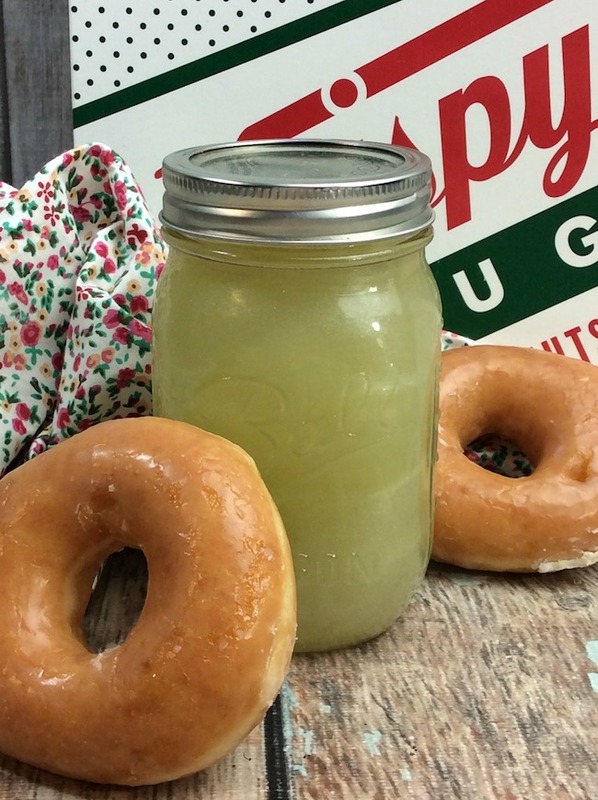 Krispy Kreme Glazed Doughnut Moonshine Recipe! 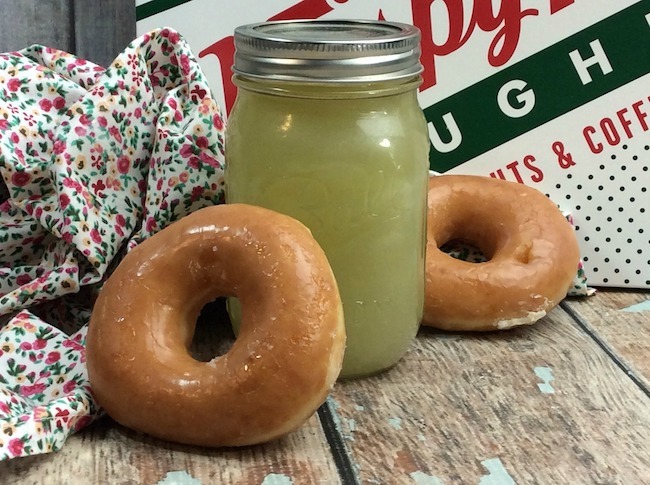 I made this recipe on National Glazed Doughnut Day which takes place on January 12th! 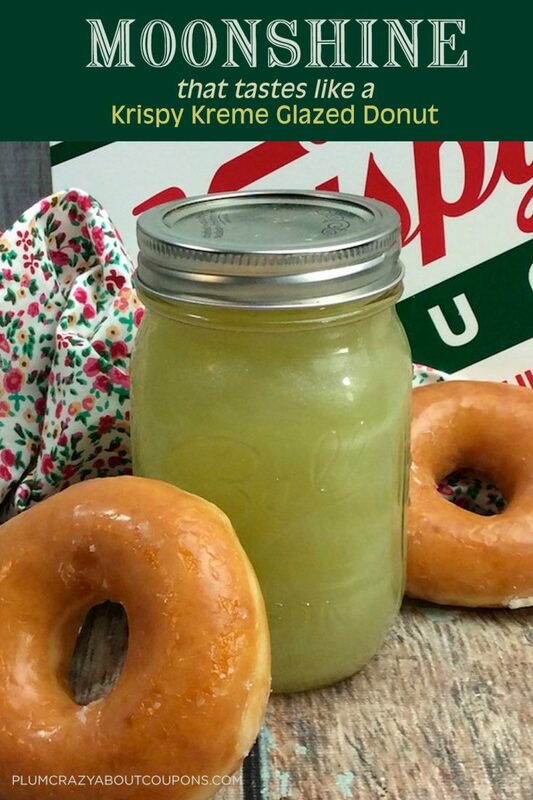 Is there a better way to celebrate one of the best inventions ever – the glazed donut than to create that flavor in a whole new recipe? I think not! So let’s get started. I recommend serving this drink in an old fashioned mason jar for that real back woods moonshine feel. 1. Add the vanilla extract, simple syrup, brown sugar, and corn syrup into each jar. 2. Top off with Everclear. 3. Place your mason jars in a cool dark place for 4 weeks. 4. Shake the jars every two days to help with the infusion process. 5. Can store up to 30 days. If you are looking for other unique alcoholic beverages with a sweeter flavor you can try our Apple Cider Sangria recipe or our Moscow Mule Apple Cider recipe. 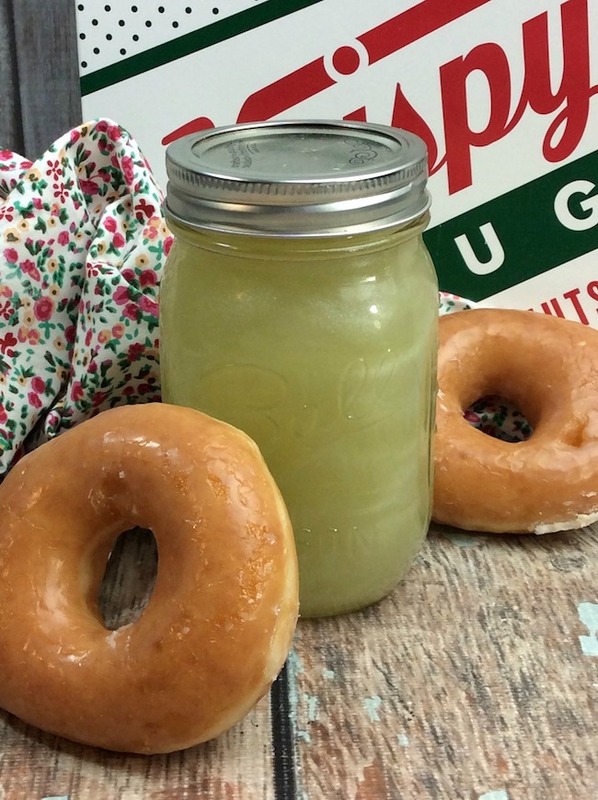 An adult take on a glazed donut, this moonshine recipe will be a hit with donut lovers. Add the vanilla extract, simple syrup, brown sugar, and corn syrup into each jar. It says can store up to 30 days. Is it not good after 30 days? We wouldn’t recommend it because of the simple syrup. I’ve asked before and have not seen the answer… What SIZE Mason jars? The size has a lot to do with the flavor. It would really benefit those of us who would like to make this as best as possible to know the correct size. Please respond here on your site. Thank you. Hi, They are the regular mouth pint size. Stupid question I’m sure… but what is “simple syrup”? Hi, No, it’s not a stupid question. I actually had to ask my son what it was originally. It’s a mixture of sugar and water, however, I buy the bottle of it at Walmart because for me it’s easier.